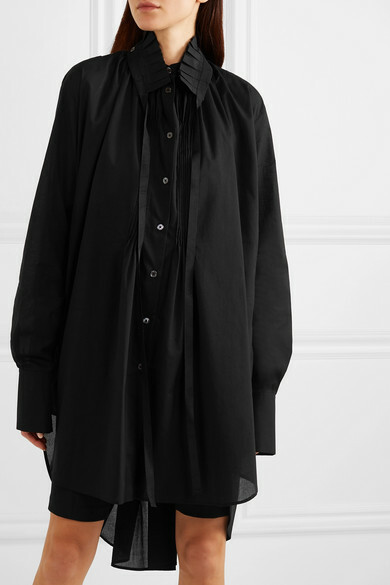 Ann Demeulemeester's shirt is as romantic and rock 'n' roll as you'd expect from the label. 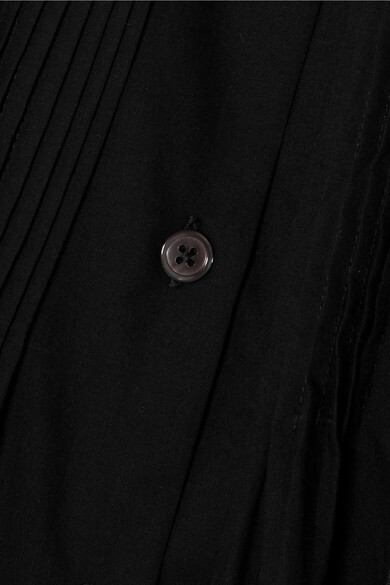 Cut from lightweight cotton-voile for a loose, oversized fit, this style has a detachable pie-crust collar that fastens with long ties and knuckle-skimming cuffs. It's gathered and folded at the back to define the shape - and make people look twice when you walk by. Shown here with: Tibi Shorts, CALVIN KLEIN 205W39NYC Shoulder bag, Maison Margiela Ankle boots.